En kvinna översköljs av minnen av ung kärlek av den fysiska beröringen när hon hittar en bunt undanlagda saris. En poetisk film som utforskar minnet och hur man ibland kan förvånas över vilka människor och situationer som lämnat avtryck. 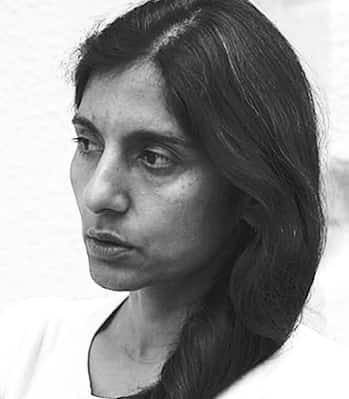 Pooja Kaul, born 1970 in Indore, India, is a director whose work examines contemporary society. Her films have been described as unique, stunning and soulful, presenting important aspects of human experience. She is working on her first feature film The Umesh Chronicles which she wrote under an award from The Hubert Bals Fund of the International Film Festival Rotterdam. Pooja has trained at the National Film and TV School, England and at the Mass Communication Research Centre, New Delhi. She lives in Stockholm and Delhi. Sundar Sari is a film about memory and how we carry it with us in our everyday. It offers a window into how we pull out our memories sometimes, and caress them, perhaps even reinvent them. This film offers an awareness of material --texture, sound, cloth--as the fabric of our lives, the trigger of our dreams and our memory and therefore suggests that material is spiritual. It also looks at the life of a woman of 60 and the rich memories she holds.